(Courthouse News) Without data from the future, it is difficult to predict all of the ecological impacts of global climate change. But research published in the journal Science on Thursday offers new insight into how warming temperatures have impacted ecosystems in the past. “One of the advantages of the past is that it offers us a wide array of unplanned experiments that have already happened in different times and different places where climate changes of differing magnitudes have influenced vegetation and other parts of the ecosystem,” said Dr. Stephen Jackson, director of the Southwest Climate Adaptation Science Center and corresponding author on the paper. By understanding how vegetation changed during the period of postglacial warming from 16,000 to 10,000 years ago, researchers hope to understand current and future changes in plant life and the ecosystems supported by it. Led by the University of Arizona, 42 researchers spanning six continents analyzed 594 paleoecological records of vegetation radiocarbon-dated back as far as 20,000 years to the last glacial period. The records ranged from pollen grains preserved in the mud at the bottom of lakes or swamps to seeds packed away by rodents into cracks and crevices. Researchers used climate model TraCE-21ka, designed by the National Center for Atmospheric Research to simulate climate evolution. 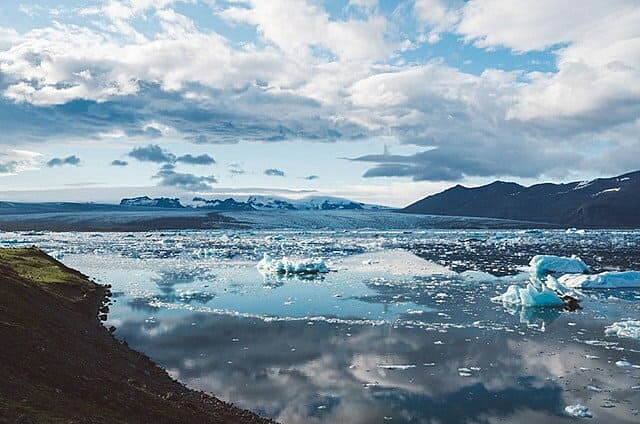 Local experts around the world were asked “to focus specifically on whether climate change since the last glacial period was sufficient to drive the observed changes” in their vegetation records. Other factors that might impact vegetation include human activity, postglacial carbon dioxide increases, and megafaunal dynamics. But researchers in most places observed a strong connection between changes in vegetation and climate. Warmer temperatures drove compositional changes in 27 to 72 percent of sites and likely drove changes in structure in 28 to 67 percent of sites. “These changes were particularly evident at mid- to high latitudes in the Northern Hemisphere, as well as in southern South America, tropical and temperate southern Africa, the Indo-Pacific region, Australia, Oceania, and New Zealand,” the researchers said. Typically small changes in ecosystems could be associated with small temperature anomalies, whereas large changes seemed to be associated with large temperature changes. “Our results indicate that terrestrial ecosystems are highly sensitive to temperature change and suggest that, without major reductions in greenhouse gas emissions to the atmosphere, terrestrial ecosystems worldwide are at risk of major transformation, with accompanying disruption of ecosystem services and impacts on biodiversity,” the team said. Ecologists aren’t just worried about ecosystem-wide changes in the future – they are worried about them now. After two decades of drought, the Santa Catalina Mountains outside Jackson’s office window have already begun to change. The oak trees may actually be more fire resistant than the pines of the past, but there are numerous consequences associated with the transition. The research was funded by the National Science Foundation and the Department of the Interior’s Southwest Climate Adaptation Science Center as well as the Russian Academy of Sciences and the Russian Foundation for Fundamental Research.